Immerse yourself in the Ireland of green fields and flowing conversation. 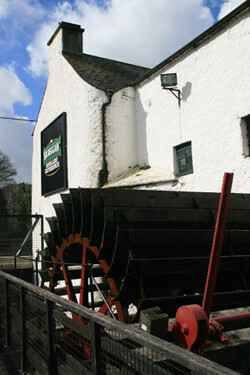 Additional tours for up to 16 people also available. The itinerary below would be perfect if you have 12 days. If you don't, that's ok. We can create an itinerary just for you. Small group Ireland tour including Dublin, Trinity College & Book of Kells, Guinness Storehouse, Glendalough, Waterford Crystal, Kilkenny, Blarney Castle, Cobh Heritage Centre, Killarney, Torc Waterfall, Gap of Dunloe, Ring of Kerry, Skellig Experience, Cliffs of Moher, Galway & Salthill, Aran Islands, Kylemore Abbey, Clonmacnoise. How is this tour different than other tours out there? The pace. This tour has been designed to be more moderately paced than other tours. As the name of this tour indicates, you’re not going to be rushed from one tourist destination to the next. This is an immersion into Irish culture, landmarks and scenery, allowing time to relax, enjoy and “breathe in” the true spirit of Ireland. The size. With only 6 people maximum, you get to truly experience Ireland and enjoy getting to know your guide and fellow passengers. It also means we have more flexibility. We can make some adjustments to the tour based on the desires of those on the tour. And we can stay at smaller inns or B&Bs who can serve delicious breakfasts. And finally, me: I am an IATAN Accredited Travel Agent and Ireland is the home of my heart. I've been there 10 times and counting. 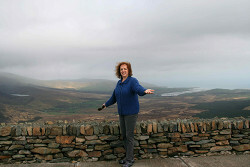 So I can give you general tips on travel as well as tips on Ireland specifically. Getting lost in Ireland has it's charm, but not the first time. 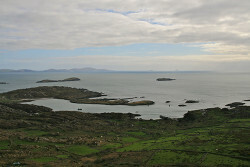 Let me save you the hassles so you can appreciate the wonderfulness that is Ireland. 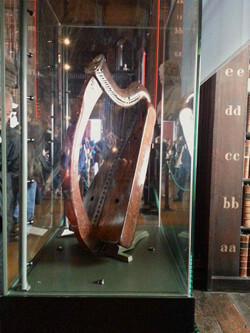 Book of Kells and Trinity College; St. Mary's Pro-cathedral; Guinness Storehouse; James Joyce Museum; Brazen Head Irish Pub; Easter Rising 1916 Exhibition; Jameson Distillery; Grafton Street; O'Connell Street and Bridge; Ha'penny Bridge; GPO (General Post Office) – the site of the Easter Rising. Powerscourt House & Gardens can be a day trip from Dublin. It is a 20-minute taxi drive. Or you could take the train to Bray. On the way from Dublin to Kilkenny, we’ll make stops at the Irish National Stud and Japanese Gardens at Kildare and the early Christian Monastic site of Glendalough. The next two nights, you will stay in the mystical, medieval town of Kilkenny. During the day, you’ll visit House of Waterford Crystal and the Viking Quarter in the ancient and historic town of Waterford along the banks of the River Suir. At nearby New Ross visit the SS Dunbrody Emigrant Ship Experience followed by a must-stop for pictures at the scenic 10-span, 18th century bridge over the River Nore in the idyllic village of Inistioge. Back in the town of Kilkenny, step back in time (way back!) by walking the Medieval Mile, where you can visit St Canice's Round Tower and stone Cathedral, Kyteler’s Inn (established by Dame Alice de Kyteler in 1324) and The Hole In The Wall, the oldest surviving townhouse in Ireland, which also hosts a wine bar and music venue. Don’t miss The Brewery Corner on Parliament Street, the 2016 Craft Beer Bar of the Year and one of the few pubs in Ireland that DOES NOT serve Guinness. In the evening, you can step next door and take in traditional Irish music and folklore at John Cleere's Pub (which DOES serve Guinness). En route to Kinsale you will stop for pictures at the iconic Rock of Cashel (St. Patrick’s Rock) in the heart of Tipperary. The journey also includes a visit to the medieval Blarney Castle stronghold and a chance to kiss the magical Blarney Stone and shop at the Blarney Woolen Mills store. We will also stop at the coastal town of Ardmore to visit St. Declan's Well and Monastery, founded in the 5th Century. 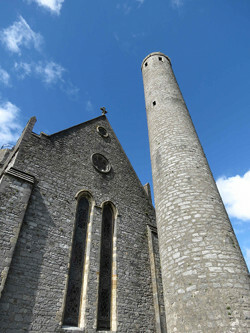 The site contains the ruins of the 12th century Cathedral of Ardmore, St Declan’s Oratory, and an in-tact round tower. One wall of the cathedral contains ancient panels depicting biblical scenes. 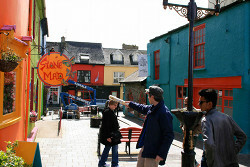 During the day in Kinsale you will have a walking tour of the town as well as a visit to Charles Fort, the Old Head Signal Tower and the Cobh (pronounced KOVE) Heritage Center. Housed in a beautifully restored Victorian railway station, the heritage center uses a well-done, self-guided tour to depict the story of Irish emigration. The tour includes the story of the ill-fated Titanic, the sinking of the Lusitania, and Irish naval and military history. 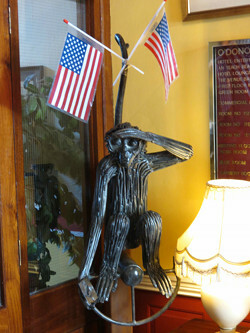 En route from Kinsale to Killarney you will stop at O’Donavan’s Hotel to see the WWII mascot Clonakilty Monkey and learn the amazing tale surrounding his short stay in quaint Irish town. You’ll also visit the Skibbereen Heritage Centre, which features the famine commemoration exhibition and Lough Hyne Interpretive Centre. You will then continue back along the coast to visit the megalithic Drombeg Stone Circle formation and then drive along the majestic and tranquil Beara Peninsula, where the Celts first arrived in Ireland. With Killarney as your base, you will drive along the famed Ring of Kerry and see the Skellig Experience Visitors Centre to learn about the wonders of the Skellig Islands. Your visit here will be accented with a day trip to the Dingle Peninsula to see the rugged Blasket Islands and the ancient Fahan Beehive Huts on Slea Head. The return to Killarney includes a visit to the historic South Pole Inn – a pub opened in 1927 by Kerryman and unsung Antarctic Explorer hero Tom Crean – ending with a visit to the splendid Inch Beach. A favorite filming location and designated a “Blue Flag Beach” by the global Foundation for Environmental Education, Inch is known as one of the loveliest beaches in all of Ireland. Enroute from Killarney to Galway we will re-live the era of transatlantic with a stop at the Foynes Flying Boat Museum, drive through the charming town of Adare (often called “Ireland’s prettiest village”) and close out the day at the magnificent and breathtaking Cliffs of Moher. An excellent day trip from Galway is the ferry to Inishmore, the largest of the three Aran Islands at the mouth of Galway Bay. Once there, you may bicycle, take a van ride, or hire a horse and carriage to see the historic sites of this official Gaeltacht (Irish speaking) island. 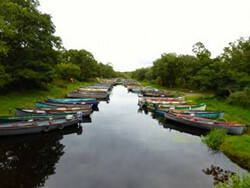 If you prefer not to go on a ferry, or the weather won't allow it, you may head up north to the Galway Crystal Factory and Connemara Marble factory and possibly take scenic cruise on Lough Corrib, which is steeped in history and is the second largest lake in Ireland. On the final day you will return to Dublin via the ancient Irish crossroads and early Christian site of Clonmacnoise, punctuated by a fun stop at Kilbeggan Distillery, the oldest licensed distillery in Ireland. The price for this tour for 6 people is $3900 per person double occupancy, $5040 for a single room. This does not include airfare. The tour can accommodate less than 6 people or up to 12 and the price varies depending on the number of people. Prices are subject to change until booked. There is a $500 deposit per person due when the tour is booked.